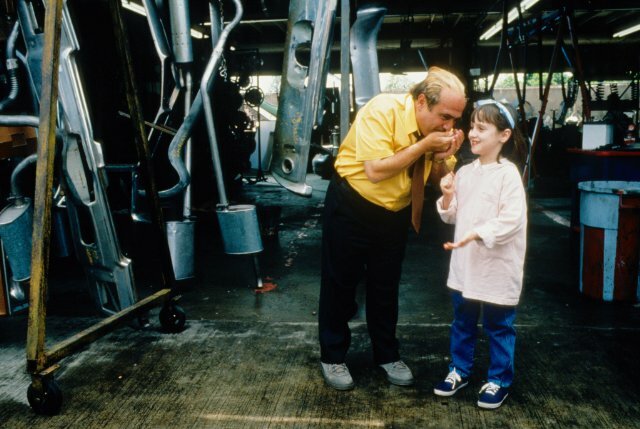 Matilda. . Wallpaper and background images in the Matilda club tagged: matilda mara wilson danny devito behind the scenes. Plus, I can see Mara watching as Danny DeVito points out how he brought his character of Oswald Cobblepot (aka The Penguin) to life in the 1992 film Batman Returns. Michelle Pfeiffer, who played Selina Kyle (aka Catwoman) in the film, would tell Mara about what she thinks could have happened if Matilda had met Catwoman, and Catwoman took a liking to her after seeing her telekinesis in action, as well as saving Matilda from the clutches of The Penguin (if The Penguin had abducted Matilda like he did with Max Schreck in the film). However, unlike Max, Matilda would not like the idea of sucking electrical power from Gotham and give Max what-for, which Catwoman would be very impressed by.